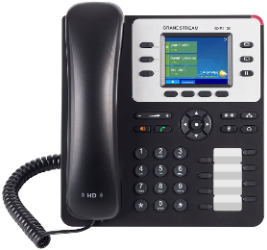 The Grandstream GXP2130 is an enterprise grade IP Phone that is part of the GXP series and supports broad SIP interoperability with any PBX or hosted platform that utilized the SIP standard. Incredible price for a color screen IP Phone. Current pricing on Amazon is around $75 before tax and shipping. Although color screen is just 2.8 inch and 320x240, the text and numbering is clear, sharp and easy to read without straining your eyes. Really like that this phone comes with a power supply, unlike some of the competitor phone models that charge another $20 or so for the supply. You could argue that this might be a waste if the phone utilizes POE but we still think this is a nice to have device. Good number of features that include 3 lines (SIP accounts), 4 XML soft-keys, PoE (Power over Ethernet), 10/100/1000 Mbps Ethernet, HD voice and 8 BLF extension keys. Incredibly easy to install, setup and use. Like many other models of IP phone, this model uses graphical icons to identify the functionality of each key. Although these are mostly intuitive it may take some users a few tries to figure out what each button does. The handset feels just a little bit too small in your hand and also when pressed against your ear. This may be personal preference but the physical size is definitely smaller when compared to other models. This is likely not an issue for most people in addition to the likelihood that the speakerphone or headset will be more commonly used. There is no Bluetooth capability with this phone so if you like to strut around the office while you are on a call, choose a different model. While this is certainly a nice looking phone, the plastic buttons don't quite seem to have as high a quality feel and finish that some other more expensive models do. We had somewhat low expectations of this phone due to the low price and number of nice features, so found it hard to believe that such a package would be a quality offering. Well we are in fact very pleasantly surprised and it is actually hard to critique this phone since the price is so low, it comes with a good number of features and it looks and works great. In particular a very nice color display, with 3 available lines makes it stand out from most of the competition at this price point, and makes it a great choice for any office. The option to use PoE (Power over Ethernet) is a great option and will facilitate easy deployment to larger offices that support this feature in their networks. The Grandstream GXP2130 is a low cost, simple to use IP Phone with advanced calling features and is a perfect choice for home offices, small to medium sized businesses and larger enterprises. Buyers looking for more lines, a larger color display and additional BLF buttons should also look at the GXP2140, GXP2160 and GXP2200 models from Grandstream. Quick Start Guide for GXP2130. Setting up the phone was simple and was just a matter of adding the phone to our private test network via an Ethernet cable and then connecting the power supply. In well under a minute the phone was up and running and ready for configuration. 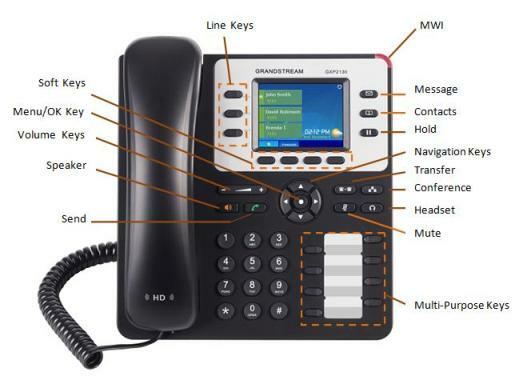 Figure 2 below shows the Grandstream GXP2130 phone and a description of the various buttons. Select the Menu key then use the navigation keys to select option (2) Status. Scroll down to "Network Status" and hit the select button. 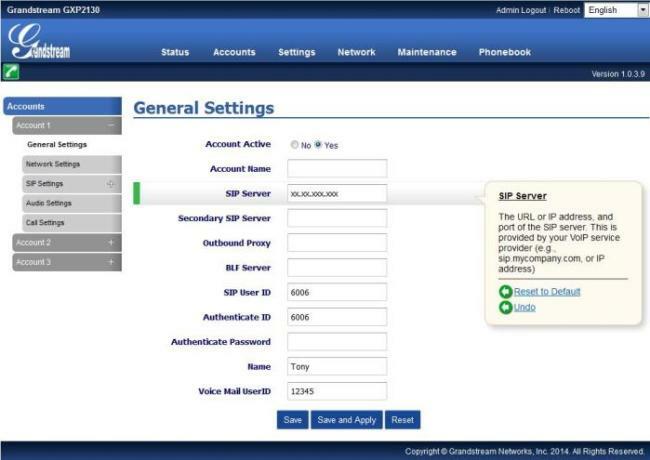 The name or IP address of your SIP server. Our private network is running on an Asterisk server so we had complete control over this configuration. Fore more information on setting up an on-premise Asterisk call-management switch read our article on how to setup an Asterisk switch. We're sorry, there are currently no user submitted reviews for Grandstream GXP2130 matching your search criteria at this time. Please add your own review or check back later as reviews are being submitted often.